Lucknow: An Indian Air Force Jaguar has crashed in Kushinagar, Uttar Pradesh. The plane had taken off from the Gorakhpur airbase. According to Zee News, the crash occurred during training. The plane crashed minutes after the flight. Reports say it caught fire as soon as it crashed. However, the pilot managed to eject safely. Last year, a Jaguar fighter jet had crashed in Gujarat’s Kutch district soon after it took off from the Jamnagar airbase, killing a senior officer who was piloting the aircraft, a defence spokesperson said. 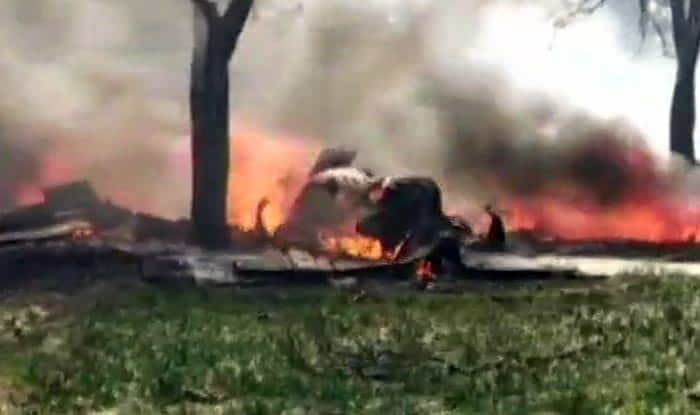 Air Commodore Sanjai Chauhan, the Air Officer Commanding Air Force Station Jamnagar, who was flying the deep penetration Jaguar fighter jet, died when the plane crashed in a field in Bareja village. “The Jaguar aircraft on a routine training mission from Jamnagar crashed around 10.30 AM,” Defence spokesperson Lt Col Manish Ojha said. “The pilot, Air Commodore Sanjai Chauhan, sustained fatal injuries in the crash,” he said. A Court of Inquiry was ordered (by the air headquarters) to investigate the cause of the accident. A few days after that, another Jaguar aircraft developed a snag during the landing phase in Gujarat. As per reports, the aircraft was on a routine training mission from Jamnagar, where Air Force operates an airport. The pilot of the Jaguar aircraft has been safely ejected. A Court of Inquiry was ordered to investigate the cause behind the technical snag.